Fan Forum > TV Shows - Past > Beverly Hills 90210 > Dylan♥Kelly #84: It's A Boy!! Dylan♥Kelly #84: It's A Boy!! Luke and Jennie fans around. If you'd like to be added to the fan list, simply let us know on the thread or PM the thread-starter. There's really no reason to be shy because "the only person you need permission from ... is yourself." :Rules: We welcome all new fans, old fans, multi-shippers, and Dy/K-curious posters. However, bashing of any kind/posting on this thread as a means to collect evidence against our couple for another will not be accepted. Please read the official board rules for clarification on this and other matters, such as staying on topic and not double-posting. Normal criticism from those who love Dylan and Kelly together is of course an exception. We know they aren't infallible, but we love them. And they loved each other. "She was the only beauty ... the only inspiration left in his life." Your lover is your best friend, the person with whom you confide all your secrets and dreams. It’s a love that can lift you up and make you the best version of yourself. Dylan and Kelly are soulmates and lovers. He'll always have a piece of her soul. And Kelly will always be the love of his life. 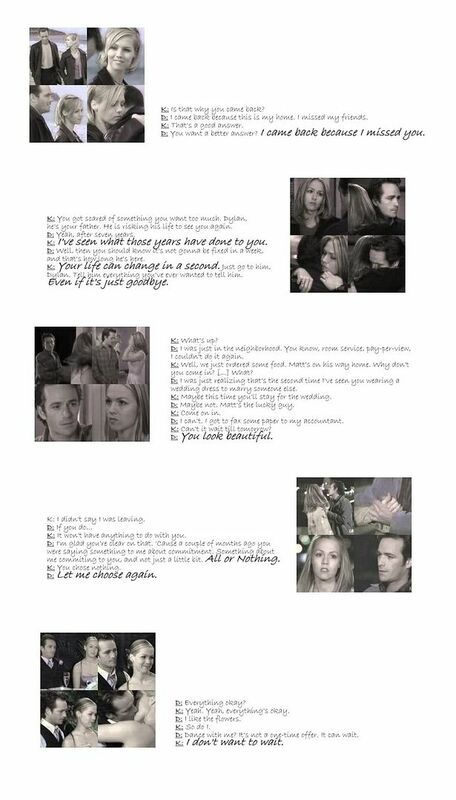 When Dylan McKay and Kelly Taylor finally got together, I was the happiest teeny-bopper on earth! Even before the third season, I just knew that Dylan had a thing for Kelly and vice versa. Maybe it was the way they looked at each other in the hallways or just the incredible chemistry that Luke and Jennie had on the show. Whatever it was, I was hooked. Imagine my surprise and elation when Kelly revealed that she and Dylan had had a flirtation prior to the Walshes moving to Beverly Hills. I knew it hadn’t just been my fertile, adolescent, Harlequin Romance-induced imagination! And when the writers decided to hook them up in what I now affectionately dub as “The Summer of Love”, all was right in my teenage world again. In the immortal words of Steve Sanders, Dylan and Kelly didn’t fit yet somehow they did fit. She started out as a superficial snob who only seemed to care about keeping up appearances and material things, while he was the quintessential poor little rich boy, an existentialist at a very young age who, ironically, didn’t care much for his wealthy, Beverly Hills trappings. If it hadn’t been for their relationships with Brandon and Brenda, I don’t think that Dylan and Kelly would have fully learned to appreciate what they had with each other. They learned to accept who they were, what they had, and where they came from. And as hard as they tried to deny their connection by falling for other people, dating other people, even marrying other people, it was inevitable that they would end up together in the end. People say that opposites attract, but not in this case. Dylan and Kelly are two halves of one whole. All those years of searching ... little did they know that what they were searching for was right underneath their nose. It was 1990 when I first indulged on the show that is Beverly Hills 90210. That wouldn’t seem strange except … I was only about two years old at the time. I didn’t remember too much of the show, having the short attention span of a toddler, but oddly enough I did remember one event particular: the unification of Dylan McKay and Kelly Taylor. As the show progressed, I watched, not fully understanding the depth of the young adult drama. When I came of age, I became more interested in understanding the show and the couple that was Kelly and Dylan. I began tuning in on marathons of reruns as well as the final season of the series. Episode after episode, I found myself becoming more captivated by them. I soon noticed an amazing love story was unfolding before my eyes. Though I initially saw their summer affair as careless, I must admit it was undeniably romantic. I understood the situation the two were in and recognized how strong their feelings actually were. Over time, the couple experienced life and love. Most times, they were apart. But even when they weren’t together, the underlying emotions between them remained untouched. Dylan and Kelly had an unbreakable bond founded on friendship, passion and, most of all, love. It was believable because of the history they shared. They grew up together and ultimately grew in love. If you look beyond the surface, you can see the classic love story: boy meets girl, boy is torn between two, and finally boy and girl fall in love. That was a lot to read. Why not take a music break? FanFic: 01. "A Fatal Secret", by KellylovesDylan; 02. "Hearts Don't Lie. Fortunes Do! ", by Lysee. Show Clips: Jaime's YT channel, with edits of S3 and S5-S10 currently up, and more on the way, can be found HERE. Watch them being planned in real time and link to her website, Hopelessly Romantic. Fanlistings: (not that anyone pays attention to these, but) 01. Luke; 02. Dylan; 03. Kelly; 04. 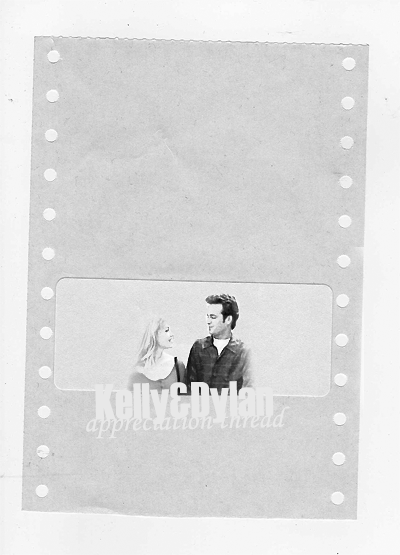 Dylan/Kelly; And if you just want to see them on the same page, 05. Dylan/Kelly, again. "I told her she and Luke seem to have really good chemistry. 'And we know it. And his girlfriend knows it and my boyfriend knows it. But we work together, you know ...'"
JG: “I love working with Luke. He and I are like buddies." LP: “I’m just saying, it - that I’m warmer when you’re close to me than I am when you’re not (he playfully hugs her) [...]." LP: “We were getting invited to the White House. Um, you know, crazy stuff. Fidel Castro got a satellite dish cause he had a crush on Jen …” (she playfully hits him). "It doesn't matter how much of a magnet a girl turns on. A guy always has a choice of not making her do something she doesn't want to do." “Got Kelly fooled. Be careful, Jake. She’s a young girl. Emotional. If she feels something, it’s permanent record. Trust me, it doesn’t feel good to have that messed with." "Kelly, everything is real to me." "I can't just kiss a guy I've had a major crush on my whole life and pretend that it doesn't mean anything." "The only person you need permission from ... is yourself." "It just makes you wonder if it's all worth it, you know?" "It's all worth it. If it wasn't, we wouldn't be here right now." "I chose. I chose you. I want you ... I've always wanted you." "The girl in the poem, I mean, she obviously knows how difficult it is to open your heart to another human being. That's why she's skittish." "Well, Steve, this may come as a shock to you but when Kelly's with me ... she doesn't crave anything." "I'm either going to be number one in your life or I'm not going to be in your life." "Most beautiful or not, I'd have fallen in love with you either way, Kel." "Kelly, when you're with me, you fight with me cause that's when you're alive." "I just know what I need for the first time in my life. I need you." "I wouldn't be here unless I was absolutely sure that where you belong is with me. Together, wherever it is." "I love Brandon, with all of my heart. But with Dylan ... I don't know. It's like he'll always have a piece of my soul." "Okay, truthfully, you don't have letters and pictures of old boyfriends?" "I don't know. ... Maybe. Somewhere." "Now that is different. We were special." "I came back because I missed you." "I keep telling myself we're just old friends." "And does that work for you?" "If [Dylan] ever needs me, he's got me." "I've only connected with two people in my life. One of them is dead." "She's sitting right across from me." "You're lucky you found someone that makes you happy. I wish it was me. "-Dylan, 9.24, "The End of the World As We Know It"
"So ... you two like best friends or something?" "Nope. We're in love with the same woman." "So what'd you come here for? To tell me you want to be friends?" "No. I want to go for a walk. With you." "The truth is, I can never imagine having you without imagining losing you to another woman... or an addiction... or your inevitable lack of interest." "You already said no to me once. I don't want to hear it again." "I talked to David about Donna." "He said he couldn't understand how two people so obviously meant for each other can't seem to get together. To tell you the truth, neither can I." 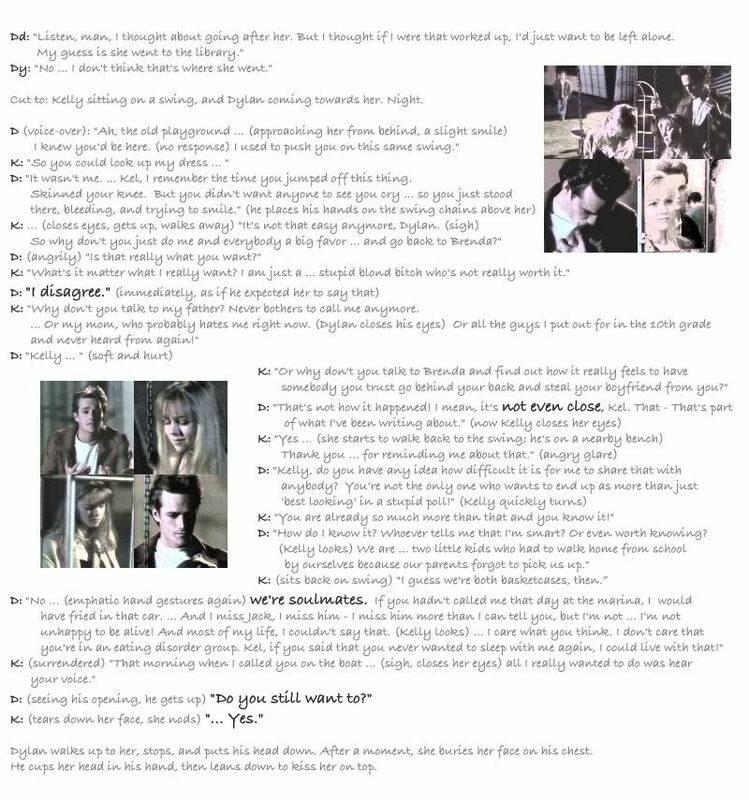 What do Aristotle, Hitchcock, Ho Chi Minh, and Frank Sinatra have in common with Dylan and Kelly? They've all been illustrated by Anton Hare (click on image; scroll down). Icons above made by LittleToxicSatan. More HERE in the Vault. Dylan♥Kelly #01: Because "She Was The Only Beauty, The Only Inspiration Left In His Life". Dylan♥Kelly #02: Because, With Him, She Had the Freedom to Be Herself. Dylan♥Kelly #03: Because He Came Back For Her. 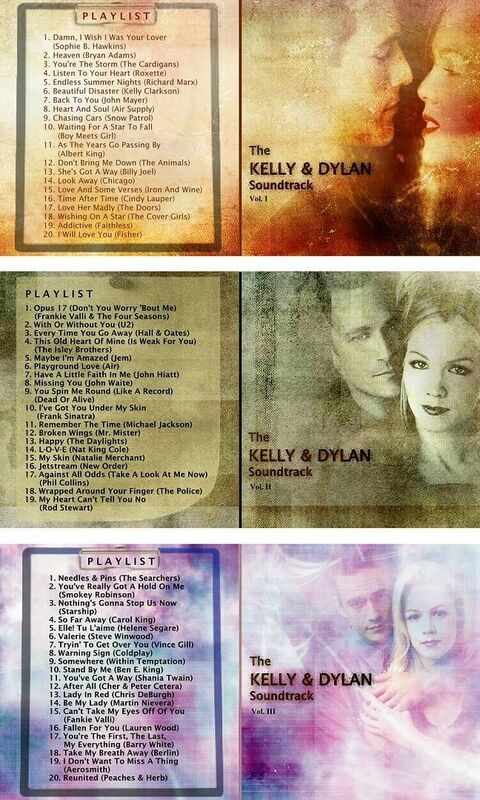 Dylan♥Kelly #04: Because He Will Always Have a Piece of Her Soul. Dylan♥Kelly #05: Because They Saw a Shooting Star Together. Dylan♥Kelly #06: Because Most Beautiful or Not, He'd Have Fallen In Love With Her Either Way. Dylan♥Kelly #07: Because They Had The Best Summer Of Their Lives Together. Dylan♥Kelly #08: Because They Got Their Happy Ending! Dylan♥Kelly #09: Because I Found Myself When I Found You. Dylan♥Kelly #10: Because She's His Lady In Red. Dylan♥Kelly #11: Because They Came Full Circle. Dylan♥Kelly #12: Because Their Passion For Each Other Could Start A Fire. Dylan♥Kelly #13: Because They Are The Greatest Loves Of Each Other's Lives. Dylan♥Kelly #14: Because One Kiss Changed Everything. Dylan♥Kelly #15: Because They Never Stopped Loving Each Other. Dylan♥Kelly #16: Because You Can't Choose Who You Fall In Love With. Dylan♥Kelly #17: Because He Was The First Guy That Ever Took Her Seriously. Dylan♥Kelly #18: Because She Was Essential to His Happiness. Dylan♥Kelly #19: Because They Longed for Each Other for Years. Dylan♥Kelly #20: Because Twenty Years from Now, They'll STILL Be Together. Dylan♥Kelly #21: Because They Always Knew Where to Find Each Other. They Had A Pact. Dylan♥Kelly #22: Because She Brought His Father Back to Him. Dylan♥Kelly #23: Because She Accepted His Offer to "Dance". Dylan♥Kelly #24: Because She Proposed to Him. Dylan♥Kelly #25: Because 'Happily Ever After' Doesn't Require A Walsh. Dylan♥Kelly #26: Because They Watched Each Other Sleep. Dylan♥Kelly #27: Because "You're My Best Friend." Dylan♥Kelly #28: Because He Dreamed Of Her As His Bride. Dylan♥Kelly #29: Because There Was Never Any Doubt That They Understood Each Other. Dylan♥Kelly #30: Because The Last Words Ever Spoken Were Between ... Dylan and Kelly. Dylan♥Kelly #31: Because "Nothing will beat that night on the beach with Dylan." Dylan♥Kelly #32: Because It’s Better to be True to Yourself. Dylan♥Kelly #33: Because, Together, They Found the Courage to Begin Again. Dylan♥Kelly #34: Because They Called Each Other Just to Hear the Other's Voice. Dylan♥Kelly #35: Because He Caught Her Mistletoe Kisses. Dylan♥Kelly #36: Because They Refused to Brand Each Other. Dylan♥Kelly #37: Because She Couldn't Bear It If Anything Happened To Him! 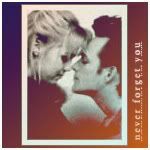 Dylan♥Kelly #38: Because "I Promise, I Will Never Let You Down." Dylan♥Kelly #39: Because They Are Linked For Life. Dylan♥Kelly #40: Because Peanuts, String Cheese & Li'l Bottles of Rum Are All They Need. Dylan♥Kelly #41: Put Your Hand In Mine. I'll Be There Anytime. Dylan♥Kelly #42: Because They Finally Found The Peace They Craved...With Each Other. Dylan♥Kelly #43: Because "I'm Proud Of You." Dylan♥Kelly #44: Because She Gave Him A Second Chance At Love. Dylan♥Kelly #45: Because She Had A Major Crush On Him Her Whole Life. Dylan♥Kelly #46: Because Loving Her Was All The Direction He Needed. Dylan♥Kelly #47: Because They're So Hot, He Brought A Condom to The Dance Floor. Dylan♥Kelly #48: Because She Wrote His College Recommendation Letter. Dylan♥Kelly #49: Because He Waited Patiently for Her. Dylan♥Kelly #50: Because She Is His Past, His Present, and His Future. 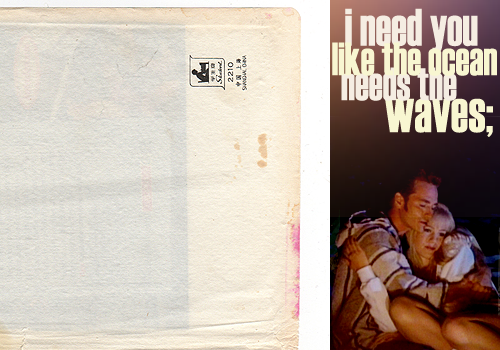 Dylan♥Kelly #51: Because "I'll Always Need You." Dylan♥Kelly #52: Because "Let Me Choose Again." Dylan♥Kelly #53: "There Must Be SOMEone Who Can Get Through to Her". Enter Dylan. Dylan♥Kelly #54: Because He Sleeps Better With Her By His Side. Dylan♥Kelly #55: Because Leaving Couldn't Make Him Forget. Dylan♥Kelly #58: He Was A Man In Search Of His Roots, And She Represented Them. Dylan♥Kelly #59: Two People Who Saw Each Other for Who They Really Were. Dylan♥Kelly #60: BC Love Is Not A Moral Decision. It's An Emotion, and They Had It. Dylan♥Kelly #61: He Didn't Want Her to Marry Anyone Else, And She ... Just Couldn't. Dylan♥Kelly #62: Because He Never Cheated On Her. He Just Cheated with Her. Dylan♥Kelly #63: Because Who Else Is Going to Tie His Tie? Dylan♥Kelly #64: Because Their Love Is Indestructible. Dylan♥Kelly #65: Because It's A Rule. Dylan On Screen? They're Pining. Dylan♥Kelly #66: Because His Heart Was Closed And She Re-Opened It. Dylan♥Kelly #67: You Give Me Something to Believe In. Dylan♥Kelly #68: They Had A Special Connection That Couldn't Be Broken. Dylan♥Kelly #70: Because They Spent The Whole Night Just Cuddling. Dylan♥Kelly #72: Because He Wrote Her Love Letters. Dylan♥Kelly #73: Because "We All See It". Dylan♥Kelly #75: Because Nothing Can Take Away Our Satisfaction. Dylan♥Kelly #77: The Long And Winding Road Always Leads Me Here. Dylan♥Kelly #78: Because They Are Godparents To Maddie. Dylan♥Kelly #79: Kisses, Kerouac, Kelly ... Things That Dylan Loves. DING! Dylan♥Kelly #80: Because He'll Break Right Through That Pesky Endometriosis Problem. Dylan♥Kelly #81: Because "You Know He Loves You." Dylan♥Kelly #82: Because They Were In Denial .. But We Knew Better. Dylan♥Kelly #83: Because They Are Inevitable. All the beautiful new banners and '50 threads' animation: Shiri Appleby; The 'flashbacks': Steffi/Mel; the Soundtrack and 'Reminders' Art: Steffi; Icons: Courtz_Bv; Research/writing/thread design: Mel. Oh, and Court for freakout support, lol. Katherine for bringing over that dancing GIF and inspiring a soon-to-be 3-step rhythm to the quotage. Jane for making a tagline on the first main app. banner which became a somewhat modified tagline for the thread. Special thanks to Jaime and Bee for being with the Dy/K thread from the beginning, even before we had a board, and keeping my schmaltz intact. The dialogue from the S10 'storage room' scene on one of the Flashback arts is from a scene in the following episode, not shown. Similar liberties were taken with the S5 Flashback scene in which Dylan shows up at Kelly's door and they kiss. Cartoon Illustration: Anton Hare, 2002. Lurkers: It's never too late to return or too soon to jump in. Where is the full stop? Well I'm sure the guy's out there somewhere. ___ Maybe. But I'm scared to open up my heart like that again. Visit ride the lightning's homepage! The full stop after "Tock". "I promise to always make your favorite banana milkshake." "I vow to split the difference on the thermostat." "With this ring, I thee wed... so that all the world may know my love for you." You mean the period at the end of the sentence? (Language barrier! ) Not there yet. I'll put it. Period .. hmmm, well thats a new one. Period is what we call *cough* that time of the month for ladies But yes thats what I mean. Yeah, it's that here, too. A "full stop" is what a car is supposed to do at a red light. Geez, where did the rest of the Americans go? I'm going to start getting confused. Back to Dy/K: Please, please, please be the daddy! He totally caved. He couldn't resist the persuasion kiss. All times are GMT -7. The time now is 07:55 PM.